Allegiant Airlines recently announced that it will be offering new non-stop service from five cities to Myrtle Beach. This is great news to those who want to come to the Grand Strand for their annual golf vacation. Allegiant will now offer a total of 13 cities that will have access to Myrtle Beach. Allegiant is known for its value packed travel deals and will be offering specials to celebrate their new services. For all of our visiting golfers Allegiant is also extending the length of its service to Myrtle Beach to benefit the golfers that want to experience the peak spring and fall golf seasons. It will be offering flights earlier in April and lasting later into September on certain routes. All of this is fantastic news for our visitors who have suffered a very severe winter in the north. If you would like to escape to the Seaside Golf Capital of the World check out this very affordable package on some great courses. With this package you will play three of our local’s favorite layouts and still have time to take in all the Grand Strand has to offer. 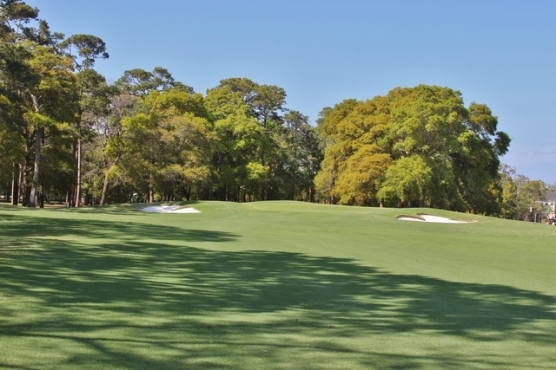 Stay for 3 nights and play Eagle Nest, Sandpiper Bay and Beachwood. None of these favorites are more than 15 minutes from any of our accommodations. Package prices start as low as $199 per person for 3 nights and 3 rounds. Add Crown Park for a 4th round at a great price. Prices are based on quad occupancy and include all taxes and fees.